A while back we made a little rant towards Westcott’s Apollo. We were upset that using the Apollo (one of my favorite lighting modifiers) as not light stand friendly and required a Boom, a C stand or a VAL to be easily positioned. 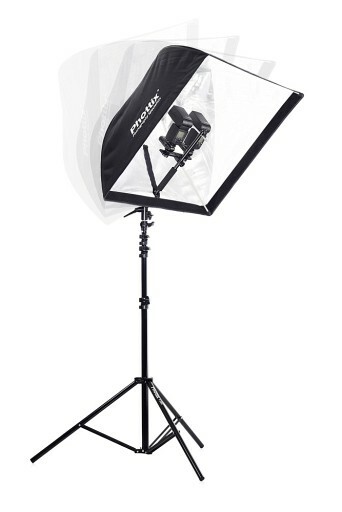 The main issue is that with an umbrella softbox the lightstand is entering the middle of the modifiers, basically locking its angle against the stand to be exactly 90 degrees. 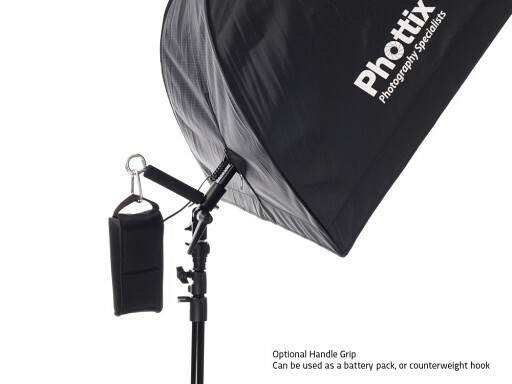 This is true not just for the Apollo, but also for other umbrella like modifiers like the Softlighter II from Photek (reviewed here). Well, Phottix has been listening and have released a new flash bracket which seems to be the off camera dream bracket the Multi Boom 16″ Flash Bracket. 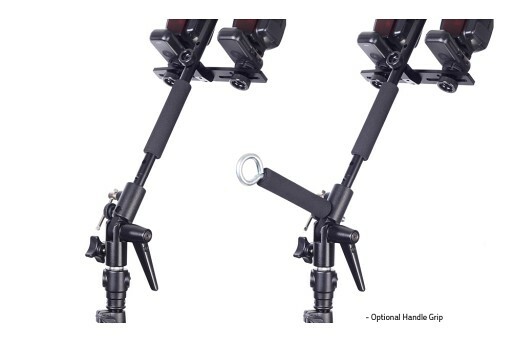 Basically it is the same good old swivel that we all use with one important difference – the top part of the swivel extend so the hinge part is external to the box. Genius, right? On top of this, the bracket supports two strobes. 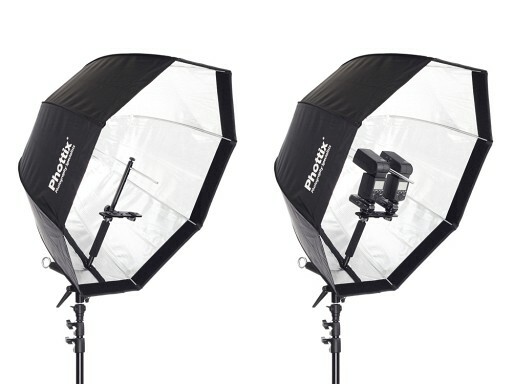 We wrote before about why using two 1/2 powered strobes is a better alternative to using one double power strobe, and we even have our own DIY Double Flash Bracket product, but the Multi Boom makes it redundant. 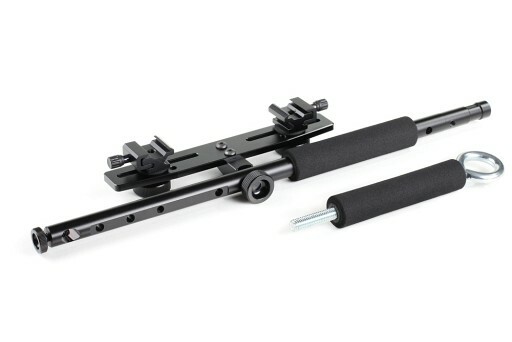 It boasts an external handle to handle the modifier and strobes position is adjustable. 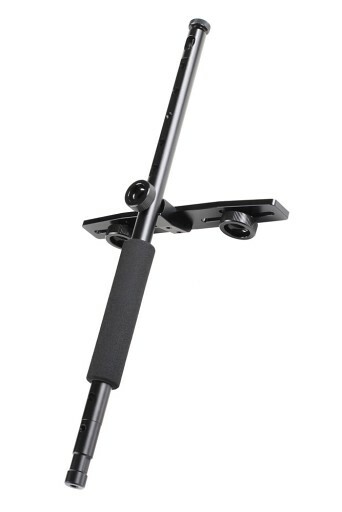 While the price tag is a bit steep for a swivel ($70 vs. the regular $20) it seems to be able to make your life so much easier that it is well worth the investment. 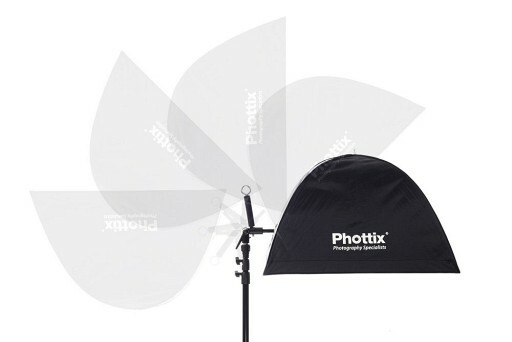 I think Phottix is listening to their crowd. This product seems like a pure field feedback product to me, which is great. looking forward to see what is next up their sleeve.